Treat your skin to the Dr. Hauschka Clarifying Toner. Balancing and toning the look of skin, the revitalising face toner will leave oily, spot-prone skin looking and feeling fresh and controlled. Arrives with a free Cosmetic Sponge and Eye Make Up Remover Sachet. 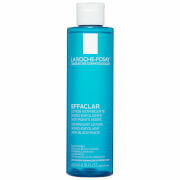 Specially formulated for oily or blemish-prone skin, the oil-free toner works to balance and tone skin post-cleansing. Helping to control oiliness while soothing signs of redness and irritation, the toner performs a balancing effect, refreshing the skin and minimising the appearance of blemishes, blackheads and enlarged pores. 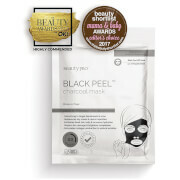 Suitable for oily, blemished or combination skin. Free from synthetic fragrances, dyes, preservatives, mineral oils, silicone and PEG. Vegan. Never tested on animals. Tónico: depois de limpar de manhã e à noite, pulverize o Tónico Purificante no rosto e dê pequenos toques na pele. Toner: Water/Aqua, Alcohol, Anthyllis Vulneraria Extract, Calendula Officinalis Extract, Tropaeolum Majus Extract, Aesculus Hippocastanum (Horse Chestnut) Bark Extract, Echinacea Pallida Extract, Hamamelis Virginiana (Witch Hazel) Extract, Bellis Perennis (Daisy) Flower Extract, Fragrance/Parfum, Citronellol*, Geraniol*, Linalool*, Lactic Acid. Eye Make-Up Remover: Water (Aqua), Sesamum Indicum (Sesame) Seed Oil, Glycerin, Alcohol, Rosa Damascena Flower Water, Helianthus Annuus (Sunflower) Seed Oil, Sodium Chloride, Sulfated Castor Oil, Foeniculum Vulgare (Fennel) Seed Extract, Euphrasia Officinalis Extract, Fragrance (Parfum)*, Limonene*, Citronellol*, Geraniol*, Linalool*, Benzyl Benzoate*, Citral*, Farnesol*, Triticum Vulgare (Wheat) Bran Extract, Sodium Citrate, Xanthan Gum.